Be the first to share your favorite memory, photo or story of Mildred Arlene. This memorial page is dedicated for family, friends and future generations to celebrate the life of their loved one. 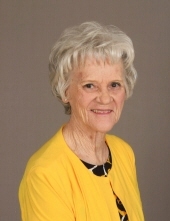 Mildred Arlene “Millie” (Fitzgerald) Lloyd, 78, formerly of Old Greenville Road, went to be with the Lord on Wednesday, March 20, 2019, in the Blue Ridge Christian Home in Raphine. Mrs. Lloyd was born on September 4, 1940 in Lexington, a daughter of the late Woodie Franklin and Bertie Pearlene (Fridley) Fitzgerald. In addition to her parents and beloved husband of twenty-nine years, Sheriff Glenn P. Lloyd, Millie was preceded in death by six brothers and five sisters. Surviving is a daughter, Cynthia Lee “Cindy” Miller and her fiancé Mark Buchanan of Staunton; a son, Todd Preston Lloyd and his wife Karman of Greenville; granddaughter, Gwyneth Johannah Lloyd, grandson, Gabriel Preston Lloyd, all of Greenville; and a number of beloved nieces and nephews that she also held near and dear to her heart. Those that knew Millie, know that her family was her pride and joy, and she cherished every minute she spent with each of them. A celebration of life will be conducted 11:00 a.m. Saturday, March 23, 2019 in the Vesuvius Baptist Church, 830 Tye River Turnpike, Vesuvius, by Pastor Tyler Clem. The family would like to express a special “Thank You” to the following people who helped them over the last few years, giving Millie their time and exceptional care, Kandi Ingram, Priscilla (Prissy) Chittum, Linda Cash, Donna Hoy, and Melvin and Faye Silvea. The family also wants to express their sincere gratitude to Dr. Rob Marsh and his staff, the owners and staff at Blue Ridge Christian Homes for their exceptional care, and to Rick Modlin, who never left the family’s side during Millie’s final days. Inspired by Millie’s generous heart, in lieu of flowers, the family request memorial contributions be made to any local charity or family in need on her behalf. To send flowers or a remembrance gift to the family of Mildred Arlene "Millie" Lloyd, please visit our Tribute Store. "Email Address" would like to share the life celebration of Mildred Arlene "Millie" Lloyd. Click on the "link" to go to share a favorite memory or leave a condolence message for the family.